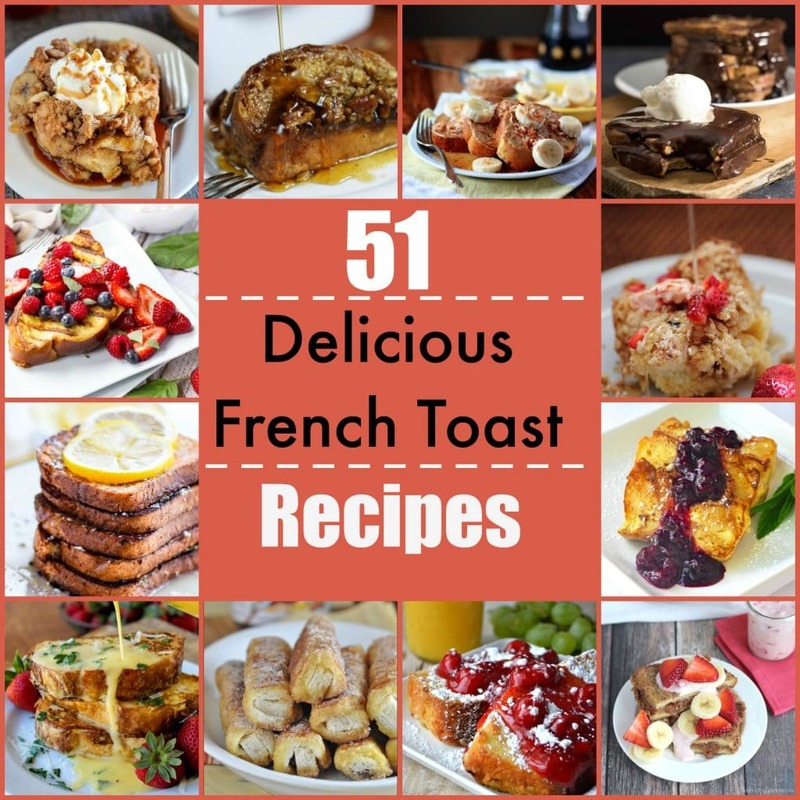 French Toast Recipes that you will love for years - over 50! Inside: Browse through this list of 51 delicious French Toast recipes, from savory, to sweet, to stuffed and more! You are sure to find something that you like here! Breakfast is a big deal for us. During the week sometimes we get into the habit of just eating cereal or scrambled eggs, which is why on the weekends we always try to make something special. Sometimes that consists of eating some of my favorite traditional Mexican breakfasts, like chilaquiles or huevos rancheros, and other times it consists of more traditional American breakfasts like omelettes, bacon, eggs, and of course French toast. I personally love French toast, which is why I have two of my favorite French toast recipes on my site: Bananas Foster, and Strawberries and Cream Stuffed. While these are both delicious, I am always interested in trying out new types of French toast recipes, which is why I bring to you today this list of 51 French toast recipes. Included are savory recipes, sweet recipes, casserole style recipes, stuffed recipes, and more! I would encourage you to go through these and find the ones that you love so that you can put them on your breakfast menu! Which of these amazing recipes are you most excited to try?